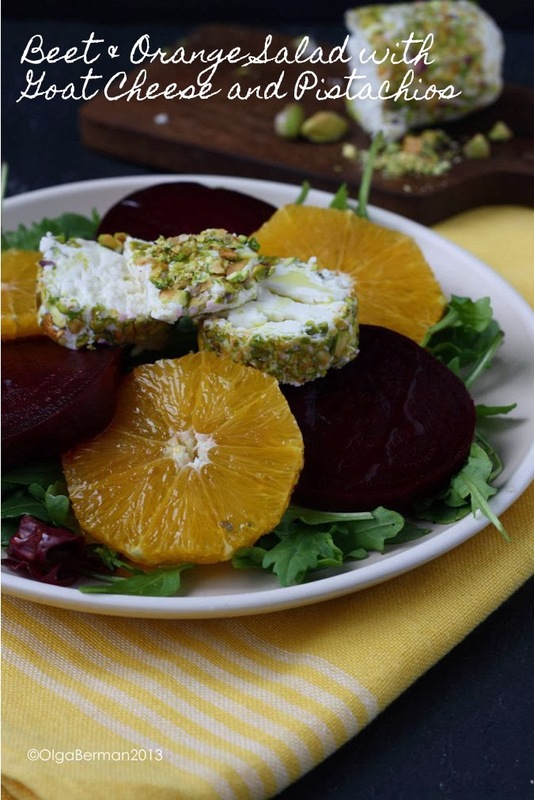 This Beet & Orange Salad with Goat Cheese and Pistachios is not just gorgeous, but it also has some of my favorite things in it. It's a perfect first course for a dinner party or a late night dinner for one. The hardest thing is waiting for the beets to roast: the rest takes minutes! 1. 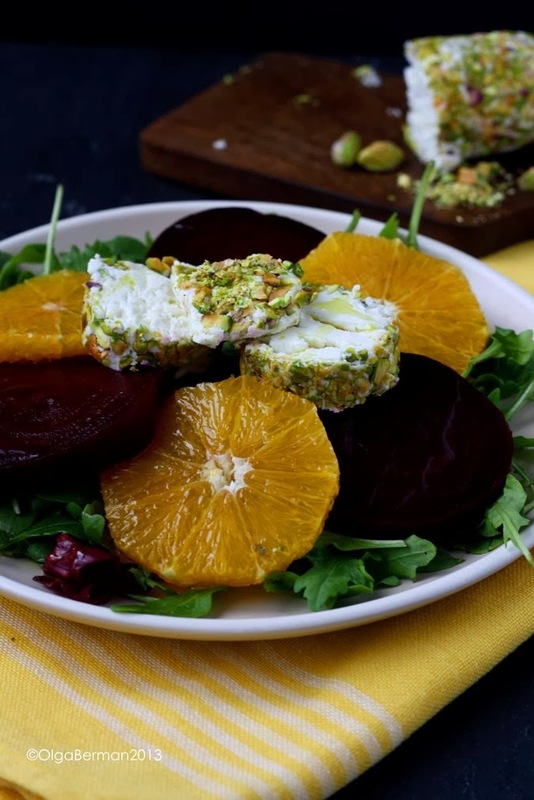 On a plate, place baby greens, sliced beets and oranges. Make a pretty pattern! 2. 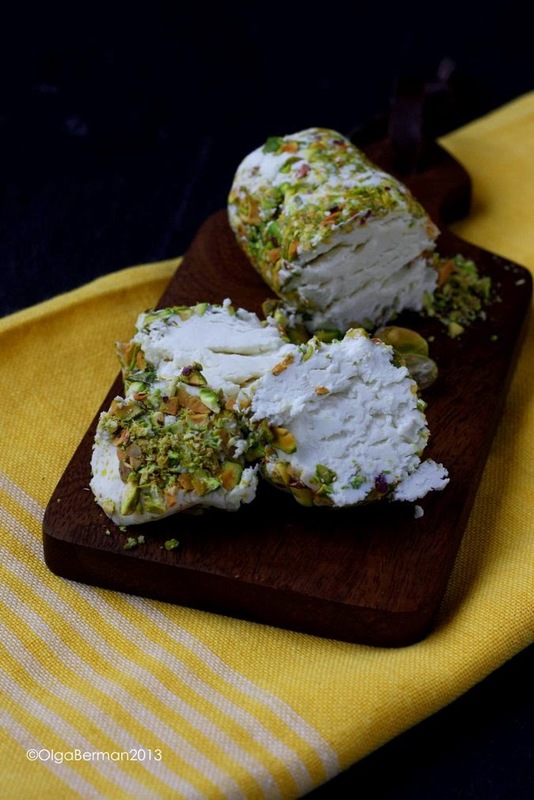 Roll the goat cheese log in chopped pistachios and carefully cut across. Arrange on the plate. 3. 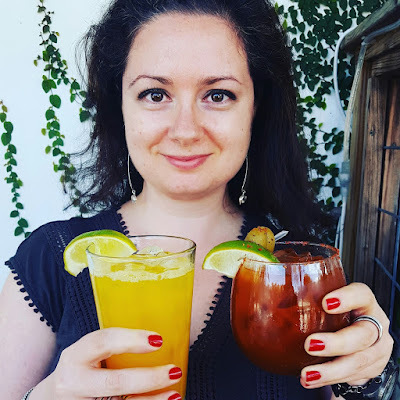 Season with salt and drizzle with olive oil and a bit of orange juice. 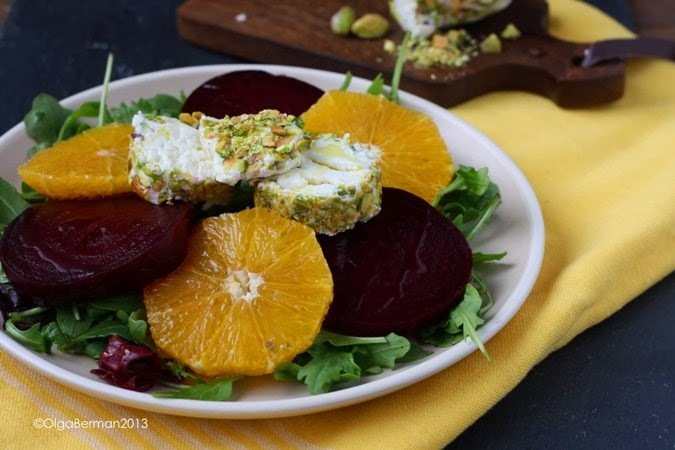 Note: to roast beets, place washed beets onto aluminum foil and drizzle with olive oil and sprinkle with salt. Wrap the aluminum foil tightly around beets, place the wrapped package on a cookie sheet and roast in a preheated oven (425F) for about an hour, or longer depending on how large the beets are. 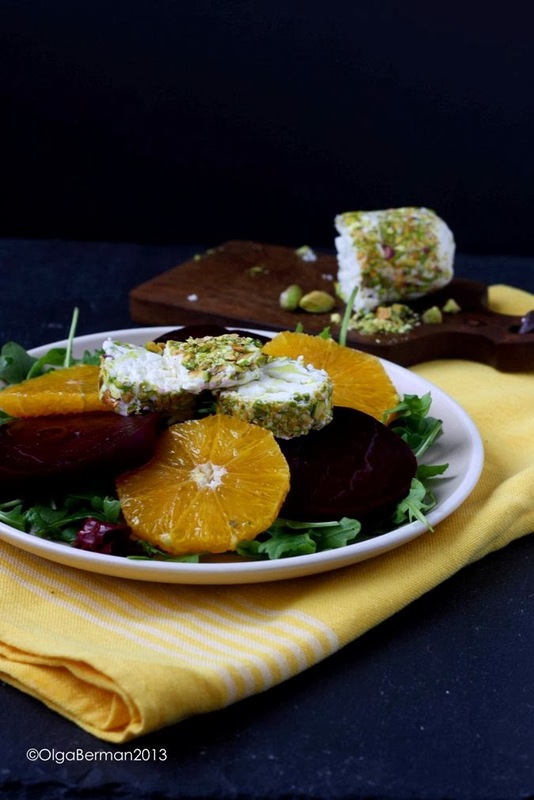 If you don't want to bother with rolling the goat cheese log in chopped pistachios, you can simply crumble the goat cheese and top the salad with it and then sprinkle the pistachios on top. But I personally think the little bit of effort is worth it. I could ate this salad daily! Please give it a try.